Device drivers for interface IP are non-trivial, and they have to be ready early in the design cycle. Almost all electronics devices have some way to connect to other devices. While we don’t really think about it a lot, these interfaces actually have to be quite smart and need to deal with a lot of different device types and/or handle a great deal of data, preferably all while consuming as little power as possible. As a result, device drivers for this type of interface IP are non-trivial. And because they are a key piece to making an SoC work, these device drivers have to be available early in the SoC design cycle. This is where virtual prototypes come in. They enable device driver development long before hardware is available. Plus, they help accelerate the software development and testing by providing superior debug and tracing, repeatability and scalability. My colleague Achim Nohl just recorded a webinar on this topic: Accelerate DesignWare IP driver development for ARMv8-based designs with Virtualizer Development Kits. In the webinar he explains how Virtualizer Development Kits (VDKs), software development kits using a virtual prototype as the target, can be used to accelerate driver development for interface IP, more particularly the industry-leading DesignWare Interface IP. 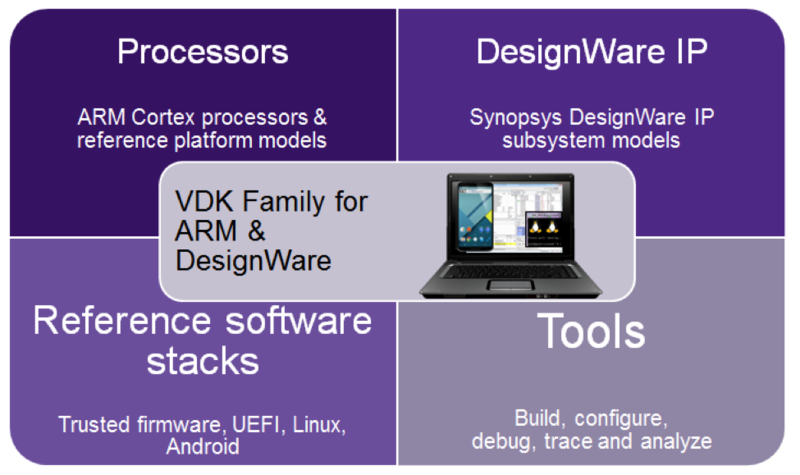 The webinar demonstrates how a Synopsys VDK for the ARMv8 Base platform with models representing specific DesignWare Interface IP like USB 3.0/3.1, Ethernet GMAC, Ethernet XG-MAC, PCI Express, UFS, Mobile Storage and so on, enable early and efficient software development for these interfaces. I highly recommend viewing the recorded webinar presented by Achim Nohl via the provided link above to learn how to maximize the benefits from virtual prototyping through VDKs. Not all innovation has to do with software :-).